Why ambient? A math teaching style that’s whole and all encompassing, with themes that repeat many times through the years, is most likely to be effective and successful. Today’s post will be brief. I am in overload mode, having traded my Mac G5 desktop for a Macbook. So here I sit with the laptop on my lap in totally unfamiliar territory, never having used one. I’m so non-techie, it’s a wonder I can navigate the cyber world at all. But I do think it’s nicer, sitting here on our comfiest couch rather than scrunched up at my desk on the desktop! It strikes the same chord for me as Rudolf Steiner saying that good teaching is like standing in the rain without an umbrella. What I’ve taken away from this is that the best teaching happens when the teacher is vulnerable to the learning process. Nothing inspires a child more than to see a teacher’s or parent’s hard-won striving. In light of this, we might consider that all the testing and teaching to the test that’s been so prevalent in our schools of late flies in the face of these wonderfully hopeful thoughts. Tomorrow I revamp my office to accommodate the new space and configuration, and then move on to business as usual. Not to depart too terribly far from the blog theme though, I will add a small gallery of form drawings to set the stage. 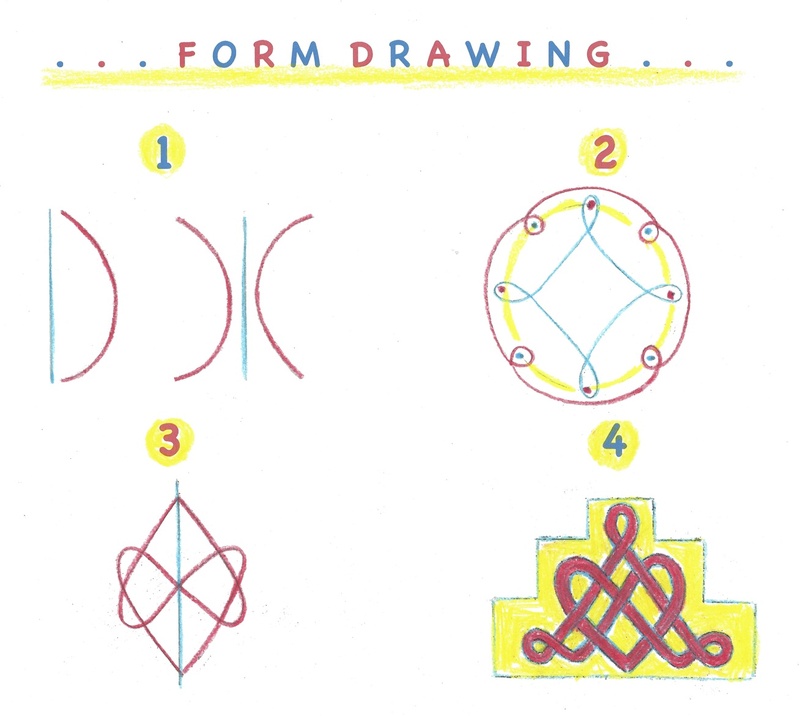 These four drawings show the progression from Grades 1 to 4.